MySIPonline, an online platform that researches deep about various schemes by different AMCs, brings to you an analysis of how the assets of L&T India Value Fund are allocated. This scheme by L&T Mutual Fund was launched on January 08th, 2010 with an objective to provide investors an opportunity to invest mainly in undervalued securities that are bound to do well in future because of the growth scope that they hold. The assets that have been accumulated under management as on July 31st, 2018 was Rs. 8160 crores. Let’s understand how these assets have been allocated. It aims to invest in equity and equity related instruments up to a minimum of 80% and a maximum of 100% with risk factor being on the scale of medium to high. 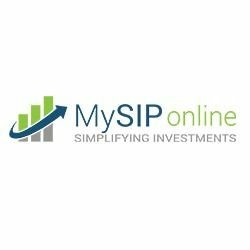 As on July 31st, 2018, its allocation in equity was 96.82% which is diversified across different caps such as giant-cap, large-cap, mid-cap, and small-cap. The assets allocated in them is 36.12%, 15.21%, 41.22%, and 7.45%, respectively. Since its inclination is more towards top companies rather than small companies, it indicates that the risk will be comparatively low compared to that in small-cap investments. This scheme may also invest up to 10% in foreign securities inclusive of overseas ETFs, as permitted, with the risk involvement being medium to high. It can also invest up to 20% in debt, money market instruments, domestic ETFs and cash as per regulations from time to time. The risk involved here will be low to medium. Seeing the overall risk factor of the L&T India Value Fund scheme, it is suggested that investors with moderately high risk tolerance should invest in it and may consult us in case of any confusion. L&T India Value Fund Growth has invested across different sectors and companies. It has invested maximum in the Financial sector with the assets invested in them being 23.35% which is less as compared to the allocation done by its benchmark NIFTY 200 TRI. Some other sectors in which it has invested less than its benchmark are Technology, Energy, Automobile, and FMCG. Construction, Chemicals, Services, and Engineering are some of the sectors in which it has invested more in comparison. This clearly indicates towards the different sector allocation strategy that has been followed by both. This scheme has selected the top companies whose securities are available in the market at a value lower than their actual price. The top ten companies in which it has invested as on July 31st, 2018 are Reliance Industries (Energy), HDFC (Financial), Larsen & Toubro (Construction), ITC (FMCG), Infosys (Technology), Graphite India (Engineering), Divi’s Laboratories (Healthcare), Mahindra & Mahindra (Automobile), Bajaj Finserv (Financial), and Axis Bank (Financial). How a scheme will perform depends greatly on how its assets have been allocated. Here, this decision is taken jointly by Mr. Venugopal Manghat and Mr. Karan Desai who believe in investing in a diversified way across stocks and market capitalization. If you are convinced with the asset allocation and want to add L&T India Value Fund to your portfolio, log on to MySIPonline, the best platform for making investments.